Back in June 1994, it was a rainy, gloomy day, and my eighth grade classmates and I were hoping that our Tibetan class instructor would take us to the screening of a documentary film about modern life in Tibet. With the weather adding to our woes, we were in no mood for a monotonous 45-minute long didactic class. When our otherwise strict teacher stepped into the class, we collectively pleaded for the class to be cancelled. The teacher imposed a condition before heeding our request. The condition was that he would pose a question and single out a student to answer the question failing which we would need to resume the class. Since the stakes were high, all of us were praying hard to not be singled out. Suddenly, to my sheer disbelief, I heard my name being called out. Petrified, I heard him ask the question, “What is the greatest expectation that His Holiness the Dalai Lama has of the Tibetan people”? I began to tremble. But without thinking about it, I replied, ‘Cholk-ka-sum Dok-tsa-chik-drel’ (Unity among the three traditional provinces of Tibet). To my utter surprise, the teacher stepped forward to congratulate me on the right answer and the entire class stood up to applaud me. Though at that point in time, I had randomly uttered the answer and by a stroke of good luck, it happened to be the right answer. As a 13-year old, I had failed fully to recognize the significance of what ‘Dok-tsa-chik-drel’ meant for me and for every Tibetan. But there was an instinctive faith in me that this is what His Holiness expects of us. Fast forward to early March 2016, in the age of social media superseding other forms of communication on new media. Three weeks before the crucial final elections of the members of the Tibetan Parliament in exile, I was alerted to a series of malicious personal attacks targeted at me by an individual named Shungpa Tsewang Phuntsok. He alleged that I was not worthy to be elected Utsang Chitue and sent an open letter on WeChat calling on the Utsang electorate to not vote for me. He made a few allegations against me, the most surprising of which was that I lacked regional favoritism as an Utsang member of the Parliament. Though I fail to decipher the finer details of what Shungpa Tsewang Phunstok meant by ‘lacking regional favoritism’, I take immense pride in the fact that I am recognized as someone devoid of regional fanaticism or favoritism. I felt that I had actually lived up to the oath I took in 2011 to not engage in regional and sectarian factionalism. When we speak of Unity, we are constantly reminded of how Tibetans in Tibet have remained united in the face of adversaries. 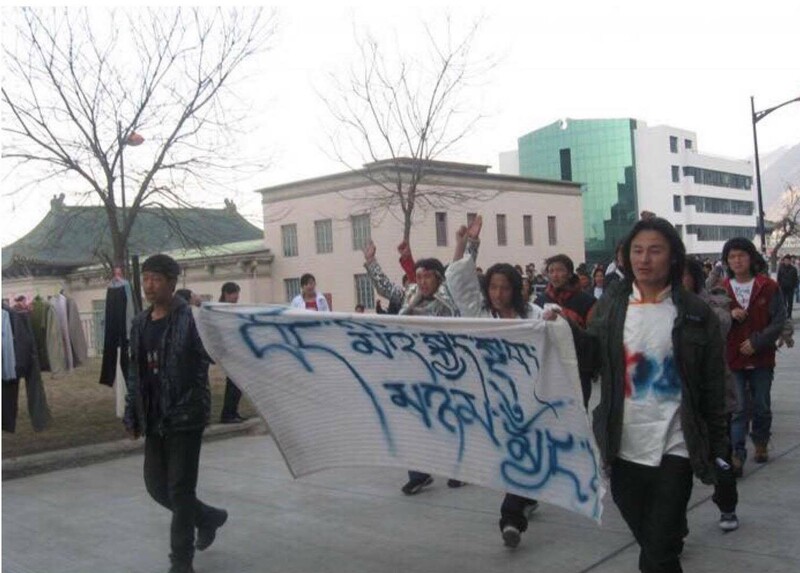 The 2008 protests changed the entire landscape of the Tibetan political movement; they are a testament to the undying sense of unity amongst Tibetans inside Tibet. Their sublime faith in His Holiness and their everyday acts of peaceful resistance against China’s continued control is what drives the Tibet movement forward. Risking arrests and even death, Tibetans have time and again proven that their sense of unity stands undefeated and unparalleled. Since 2008, a powerful slogan came out of Tibet: ‘Bod-mi-kyi-dug-nyam-nyong’ meaning ‘Tibetans stand together in joy and sorrow.’ This slogan speaks volumes about the sense of unity in Tibet. During the peaceful protests that swept across the Tibetan plateau, we saw powerful images of Tibetan students in Beijing staging candle light vigils expressing solidarity with Tibetans inside Tibet. The concept of unity finds rendition in our national anthem, national flag, in our cultural songs and dances. The Tibetan circle dance more popularly known as ‘gorshey’ is a stark reminder of unity in cohesion. The past few months saw a spate of unfortunate developments plaguing our democracy in exile. It is not a secret that the entire course of the election process had strong undercurrents of regionalism and factionalism. This was akin to adding salt to a wound which had already been caused by the Rangzen versus Umeylam division. These internal cracks had weakened the very fabric of the Tibetan social and political movement. And to make it worse, all the murkiness transpired when His Holiness was being treated at Mayo Clinic in U.S.
On March 23rd, at the centenary celebrations of Mentseekhang, it pained me to see His Holiness express deep concerns over the diminishing morality of Tibetans. The month of April witnessed a dramatic turn of events that shocked the entire Tibetan community. On April 1, the Tibetan state oracles admonished the two sikyong candidates for clear traces of regionalism during the elections and beseeched for unity among Tibetans. On April 6, the Minister of Department of Security, Donchung Ngodup la, renowned for his impeccable work record announced his resignation on moral grounds and on having failed His Holiness. On April 7, the two sikyong candidates had to address a joint press conference to tender their apologies while urging unity amongst Tibetans. But as we say, there is a silver lining behind every dark cloud. Our exile history stands testament to the fact that often it is the internal implosions that have presented opportunities to rectify our past and resuscitate our future. Now that the storm has passed, let us pause in the lull and take a moment to look forward to our future with a renewed sense of conviction and make some real changes. Let us take pride in our unique cultural identity as Tibetans and celebrate our Tibetaness. Let this be a historic phase in our history where we as Tibetans can reflect and rethink, learn and unlearn from our action and inaction. We need unity in action and not in mere rhetoric. Unity means treating every Tibetan as an equal and unity happens when you weed out the differences and divisions based on region, province, faith and belief. Unity means not letting our personal egos and power struggles impede our sense of belonging and commitment to our collective good. We need to be driven by our mission and a shared vision to serve the aspirations of people inside Tibet whose acts of courage, devotion and defiance have kept the political movement alive. Let us embrace the idea of unity on a positive, progressive and pragmatic ground and stand together in joy and sorrow. Let us be wary of the fact that engaging in acts of disunity are not only destructive but are the single biggest disservice to our community, to our struggle, to the sacrifices of Tibetans inside Tibet and most importantly, to our beloved leader His Holiness the 14th Dalai Lama. And no Tibetan would truly want that. The Three provinces need to unite. Follow the dream of Unity. Dhardon Sharling is a member of the Tibetan Parliament in exile, the co-chair of International Tibet Network and the General Secretary of Tibetan Chinese PEN Association. How about an ***-kar award for your stupid comment? Does that seem NONESENSE for you! I really like your deep analytical thoughts on our Tibetan´s unity issue. I was born and raised up in India and have never been to Tibet. But was always aware that I belong to that Volk who lost its country and that we are “REFUGEE´´. Regarding the issue of unity among we Tibetan people, i personally from my own experience will say that we have to still work a lot on it. My grandparents are from Pemakoe which is known as Sacred place in Tibet. It is belong to region Lhoka as far as I know. But I have heard or experienced that Pemakoepa (people from Pemakoe) were often neglected or discriminated by our fellow Tibetans saying that we are not Tibetans. The reason behind this is probably due to having a different dialekt and was completely isolated from other Tibet regions. This differentiation among Tibetan due to issues like belonging to different region is still to see. I hope the new generation, our generation or the coming generation will not follow this kind of differentiation. 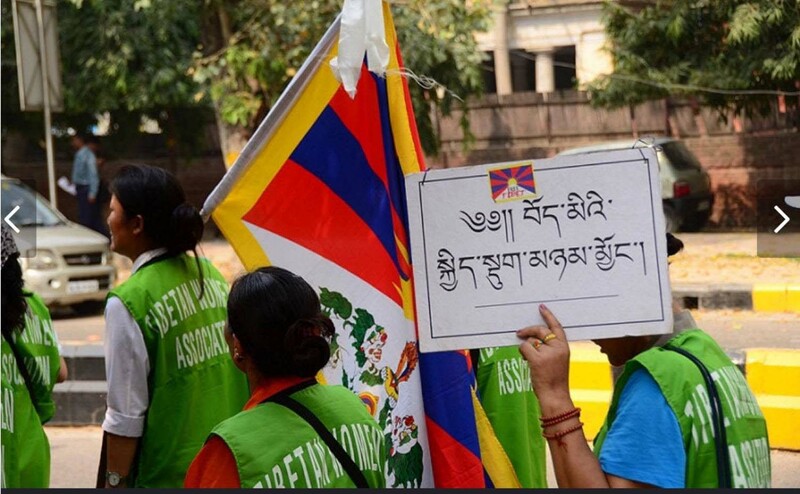 We are Tibetans and thats it…..not anymore question of which region one belongs to. Although our election vote counts will be formally announced within few days, palden Sikyong’s victory appears to be a case of fait accompli. Having said this, is there now a possibility for Chithue Tsogsur to serve in some capacity in the Kashag provided he is appointed by the Sikyong?If yes, this move would be sagacious and ipso facto serendipitous. After so many years of freedom struggle and life in exile and we still need to be reminded of unity? We attend the dalai lama’s teaching and revered him and we still could not understand his message….what does that make us?? ***! Thats what we are. I hate to see smiling faces of reconciliation. ..reconciliation of not tibetan and Chinese. .but of tibetan and tibetan…whats there to be happy about..this should never have happened in the first place…and please dont give the crap about learning from mistake…it was total barbaric event.. . When I went to polling booth I was asked which region I belong…*** all learned ***…I am just a tibetan.. Although the official election vote counts will be announced on April 27, the incumbent palden Sikyong’s victory is a case of faith accompli. Having said this, if Sikyong now chooses to appoint Chithue Tsogsur to an appropriate position in the Kashag, the move could be considered sagacious and ipso facto serendipitous. 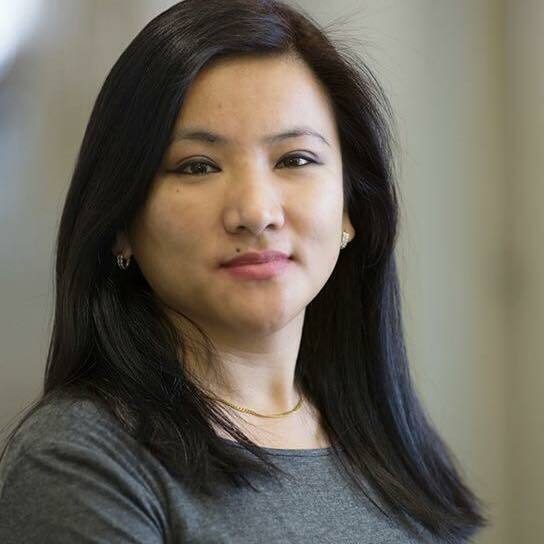 She has been duping Tibetan people undetected for the longest time. As they say everyday is not Sunday, she was caught by public for lying her age during Kalon selection. She almost robbed the Kalon post but this time without luck.. Thank you Dhadon Sharling la for always leading by example. When Sikyong made a oversight regarding your age, you showed an exemplary move by making him withdraw your nomination. You are the most important role model for youth and women and pride of Tibet. We are waiting for the day when you will be reinstated to the post of DIIR Kalon as you are the most deserving and befitting of this job. Thank you for sacrificing your PHD scholarship to serve CTA especially at a time when everyone is flocking to the west in pursuit of a better life. Wish you the very best. Our country need leaders like you.